I must admit that the Farm cats are really pretty good with the tree. They don't bother it. Typical specism... *SIGH* WE never injure trees. The latter is definitely cooler! Pretty funny! Our tree looks a bit like that top one with everything breakable on the upper branches. I was SO worried about the tree with Mudpie this year but she's been an angel!!! MOL! 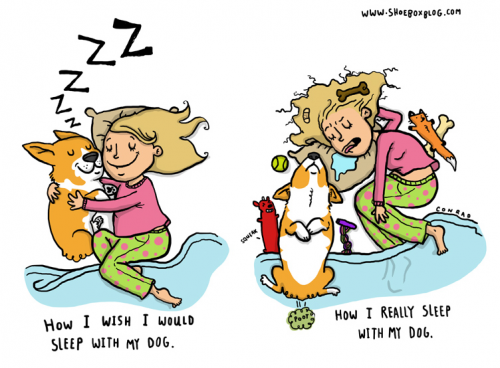 So true at our house. Miss Emily is the culprit here. I hang up wooden, pewter and soft ornaments. The teddy bear angle and the ballerina mouse always seems to disappear! Hey! Why did you throw away that great scratchy post? Our cats never did more than "box" a few ornaments but it has been 30+ years that the lower branches of our trees have been decorated. Oh yea, that makes total sense to me! MOL! We don't even have a tree up yet because somemommy 'ran out of time'. Whatever. our tree actually looks like the first one.. because they took all their toys off the bottom..
MOL! We would be heartbroken if that happened to our tree. We love sleeping under it! Mom was worried about putting up our very first tree this year. We haven't bothered it at all, and after the first few days, we even quit sleeping under it. That is so cute, and in some cases true! I wish TW would have seen this card so I could give it to Pop. MOL! The cats here don't touch our tree. Some days they like to sleep underneath it but that's all. 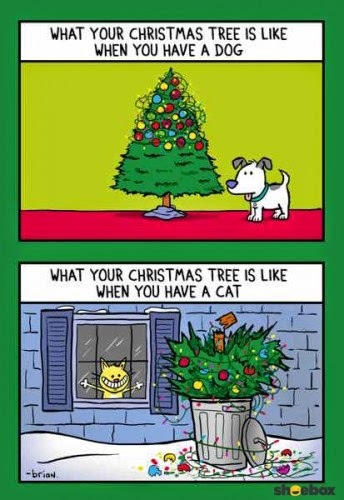 We are lucky because we know many cats love to climb their Christmas tree!